What is the optimal way Fairbanksans wish to enjoy their recreation time? 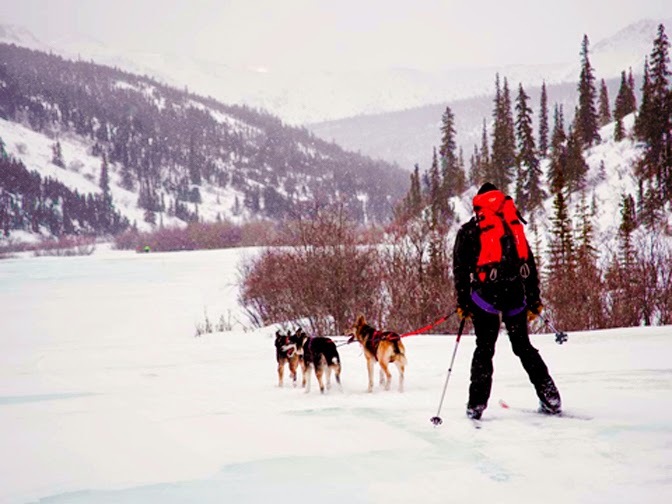 Skijoring is a popular recreational activity in interior Alaska. • We are interested in recreation on all land in and near the Fairbanks North Star Borough, not just one site. • You can describe what you want to do for recreation, not just what you usually do based on existing opportunities. • We have coordinated with many agencies (FNSB Parks and Recreation Department, Alaska DNR State Parks, U.S. Army Fort Wainwright) to ensure we address a breadth of relevant issues and have a wide distribution of results. We will administer a comprehensive online survey from May 1 to June 30 to gather information about local demand for recreation. Hopefully this community-based approach can facilitate more cooperative and effective planning in order to better provide the benefits we desire from our public places. "The survey is a fun way to describe your outdoor recreation trips, routines and goals," said Wright. "Its success relies on lots of honest information that accurately represents our community." Survey participants will be eligible to win $30 gift certificates to Beaver Sports or Frontier Outfitters. Twenty certificates will be granted. Contact Peter Fix or Bryant Wright for more information.